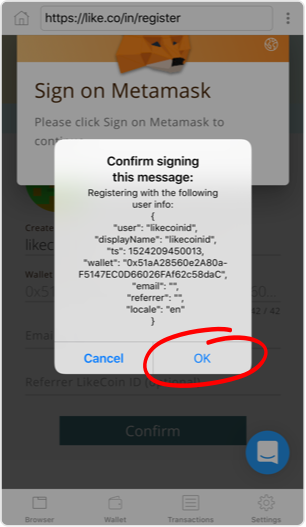 To register LikeCoin ID on your mobile phone, you need to install the “Trust Wallet” app. We will go through the installation step-by-step with you. If you have Trust Wallet already, please go to step 3 directly. I assume that you know nothing about Ethereum wallet, have not installed MetaMask or registered a LikeCoin ID before. 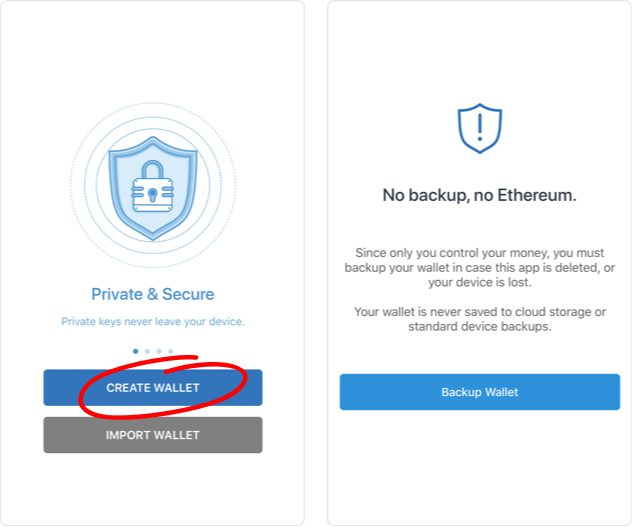 If you do an Ethereum, you just need to import your private key to Trust Wallet. 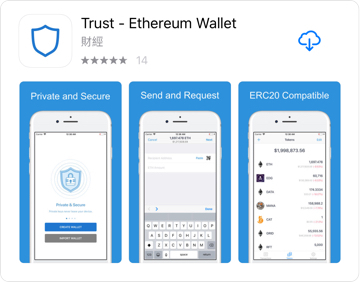 Firstly, search for “Trust Wallet” on Google Play or Apple App Store. 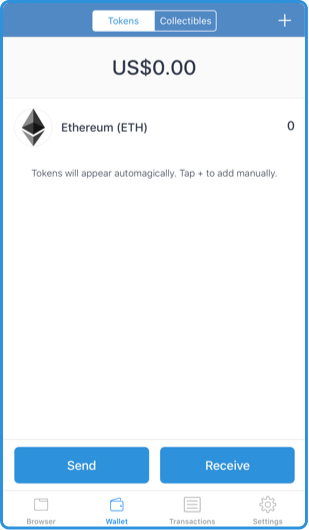 Click the Create Wallet button upon the first launch of the app. 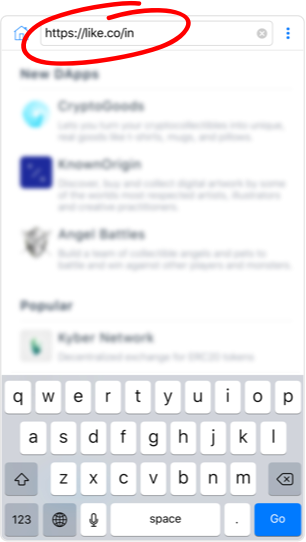 Tap browser at the bottom left corner of Trust Wallet. Visit https://like.co/in by entering the URL at the top address bar. 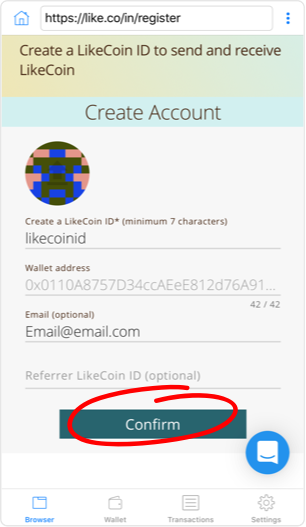 Here we are, at like.co/in (the sign up page), let's setup your LikeCoin ID and your email address. 5. Don't panic, please sign. Final step, click ok to register you info. Congratulations. 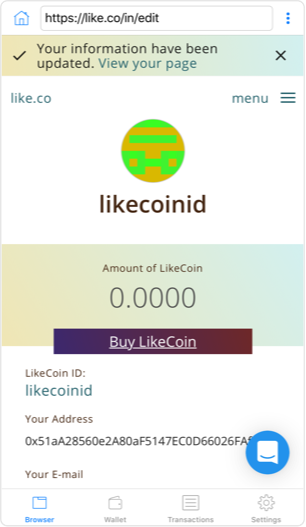 You have created a LikeCoin ID successfully using the Trust Wallet. You are always welcome to visit https://like.co/in with Trust Wallet to check your balance, send/receive LikeCoin and more. Hey, how about some LikeCoin? Huh? you got questions about LikeCoin? How about visit our help desk or just contact the team by the bottom-right round button.